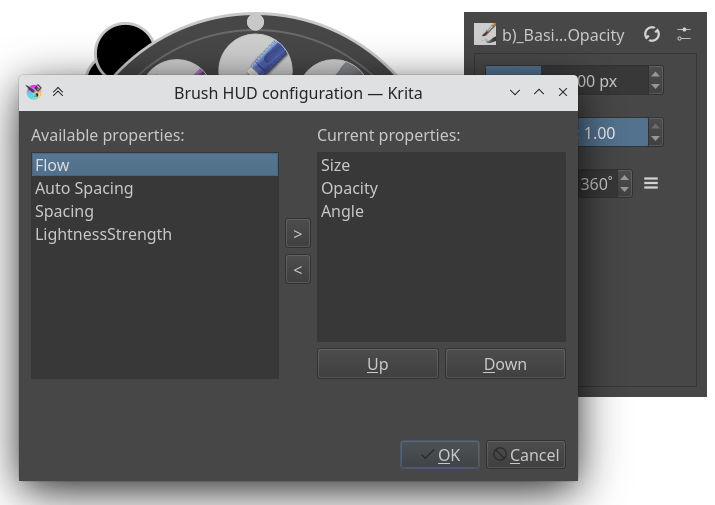 Krita’s brush editor is, as you may know, on F5. However, sometimes you just want to modify a single parameter quickly. Perhaps even in canvas-only mode. 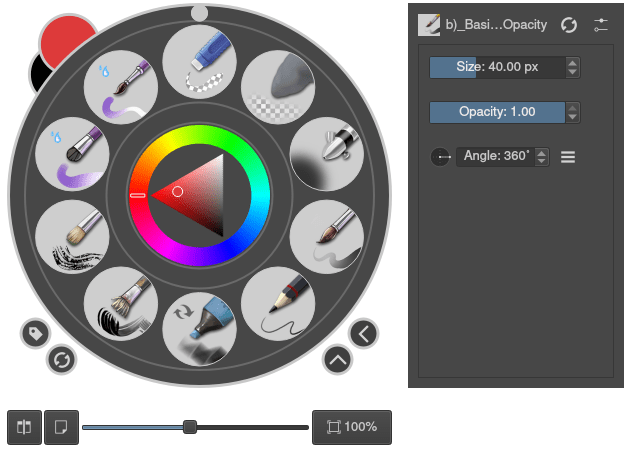 The on canvas brush editor or brush HUD allows you to do this. It’s accessible from the pop-up palette, by ticking the lower-right arrow button. 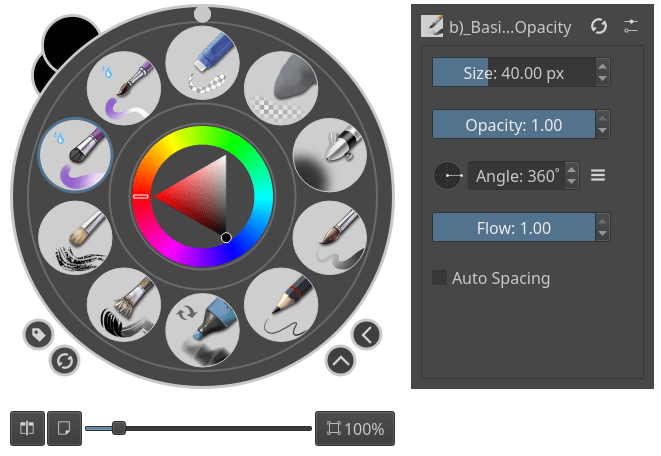 You can change the amount of visible settings and their order by clicking the settings icon next to the brush name. On the left are all unused settings, on the right are all used settings. You use the > and < buttons to move a setting between the two columns. The Up and Down buttons allow you to adjust the order of the used settings, for when you think flow is more important than size. These set-ups are PER brush engine, so different brush engines can have different configurations.